With spring now taking hold in California, CAL FIRE is already staffing up for fire season, while focusing the efforts of its crews on preventing large and damaging wildfires. Recent rains have been a welcome sight to drought-parched California, but CAL FIRE firefighters are not letting their guard down, instead they are training for another potential busy fire season and working hard to prevent wildfires. Across the State, CAL FIRE has already hired a surge of over 400 additional seasonal firefighters, whose focus includes fire prevention, fuel reduction and defensible space programs. While the additional firefighters are available to respond to wildfires, like the 240 fires that have already occurred since January 1, these firefighters will focus their efforts of fire prevention. 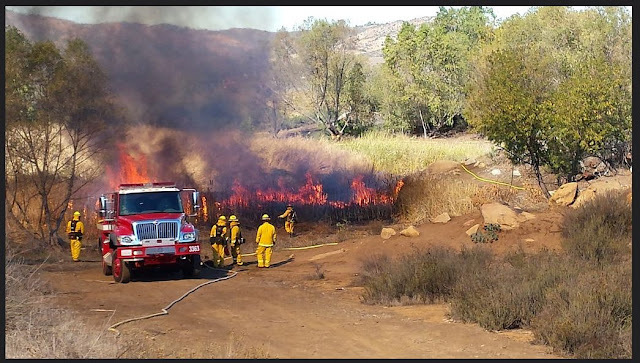 The projects the crews are working on range from removing dead trees, creating and maintaining fire breaks, removing dense brush, performing prescribed burning, and assisting homeowners with education on Defensible Space.